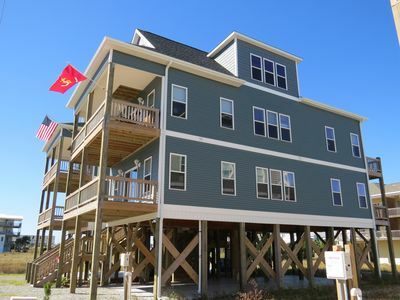 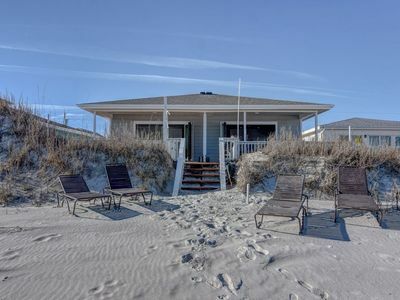 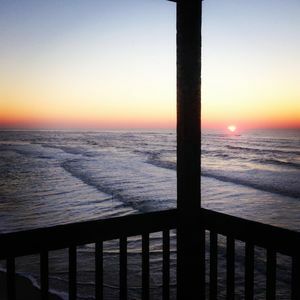 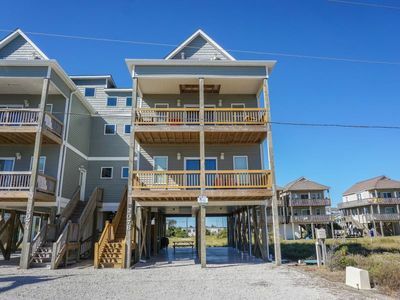 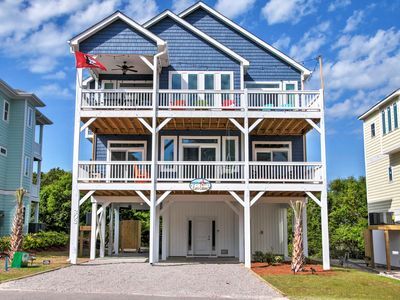 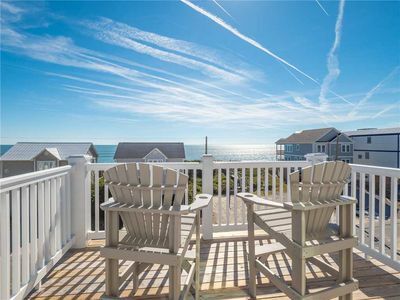 This is an oceanfront, five bedroom cottage with 3 full baths at Topsail Beach, NC. 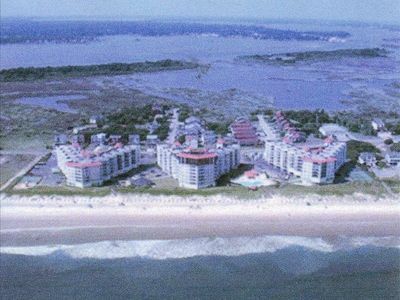 It is at the quiet, south end of the island. 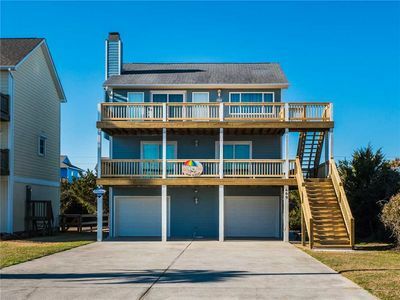 The top floor has 3 bedrooms and 2 baths with a family room, dining area, and a well-equipped kitchen with quartz countertops. 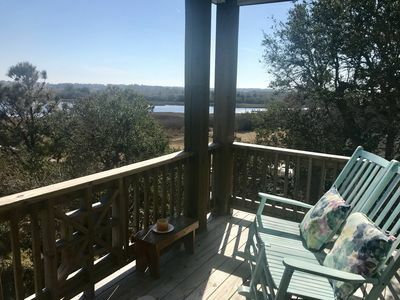 There is a covered porch with a comfy swing and rocking chairs out from the family room, with a ramp leading up to an expansive deck. 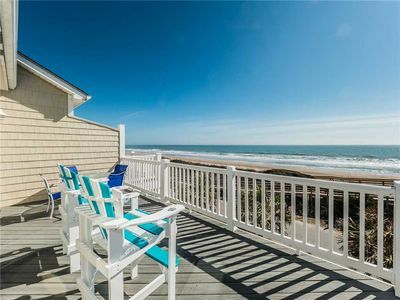 The deck is sitting on a dune overlooking the ocean with no railings to obstruct the magnificent view. 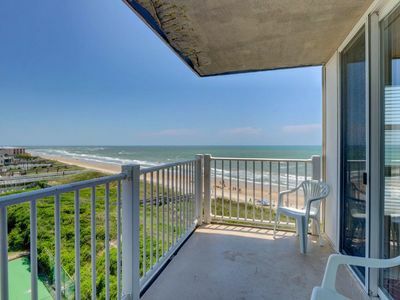 There is a new, (one of a kind) enclosed, outside shower adjacent to the deck. 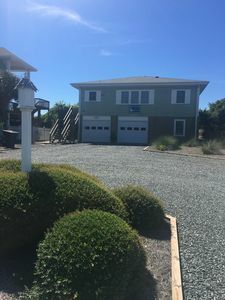 The downstairs (outside access only) has 2 bedrooms and one bath with a 2 car garage. 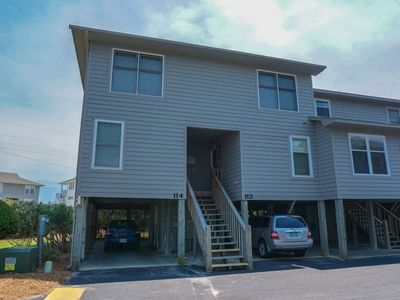 The property has room for ample parking. 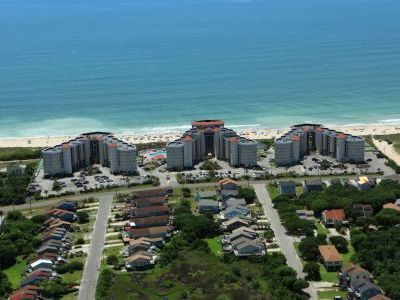 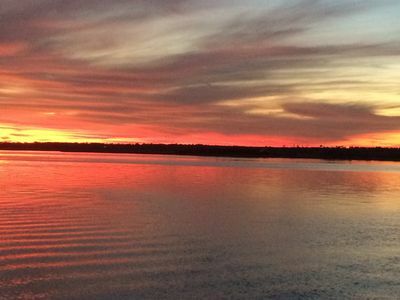 The cottage is within walking distance to the business village of Topsail Beach. 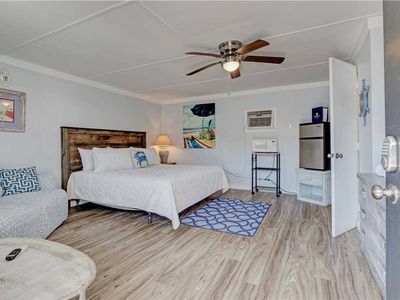 Cleanliness is our top priority! 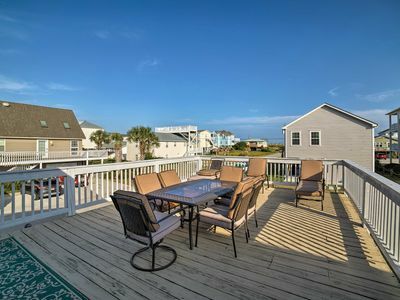 Our claim to fame is that HGTV filmed an interview from our deck!! 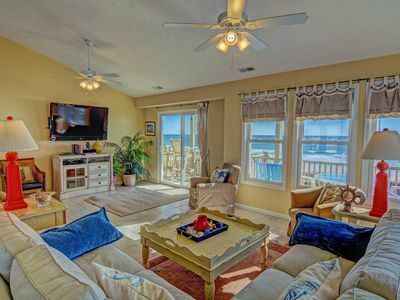 Relax and Enjoy the Sight and Sounds of the Ocean!! 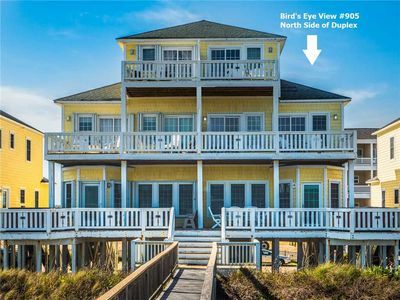 "Sandpiper Landing" Oceanfront Home - Best location on the island! 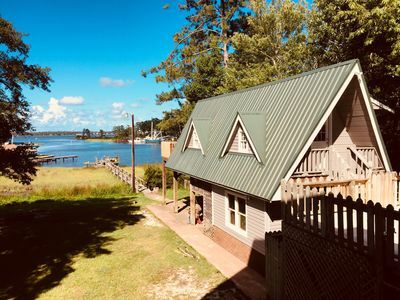 Private Waterfront Guesthouse with fishing, pier, and pool!! 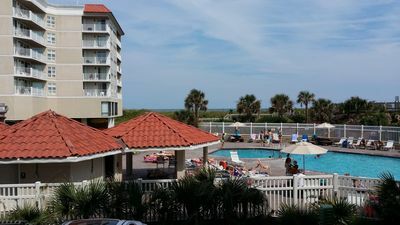 Pet-Friendly Apt w/ Patio - 2 Blocks to Ocean!